Reactor provides much more than a mere list of reaction equations: there are several propery fields associated to every member of ChemAxon's Reaction Library. 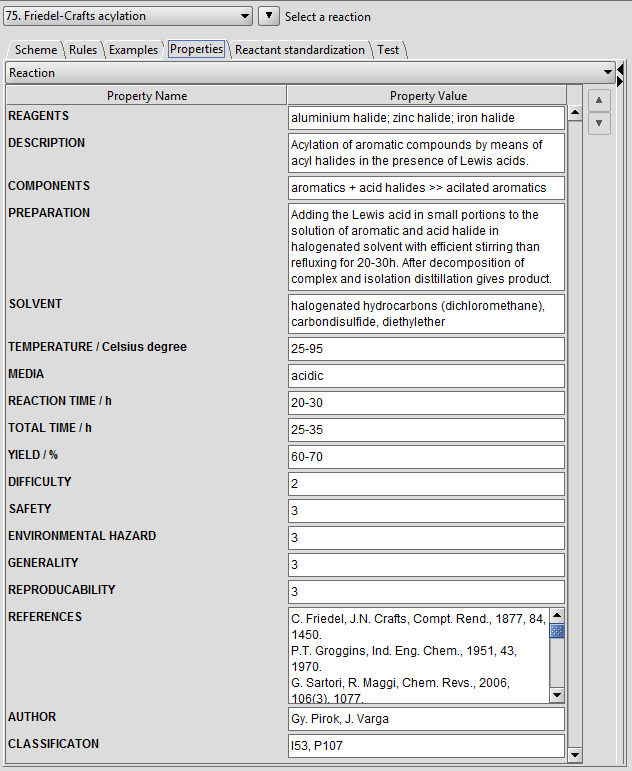 You may read them or add your own experimental results in the Properties tab of the reaction editor. Explanation of the generic reaction, code etc.